At the moment, Japan's rise in rates have not been the catalyst to the Nikkei's decline. 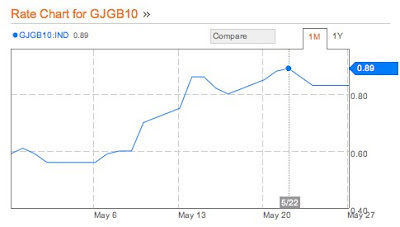 Within May, the Nikkei kept rising as the 10year Japan government bond yield rose. In fact, the Nikkei declined 7% while the bond rates have leveled off.